Is that what I think I'm seeing?! NO! It's Windose! It looks very much like Windows 95, but once you run it, you'll see that it isn't. There are a couple programs included with it like a Calculator (Rechner) a Paint Brush program, and some neat features. 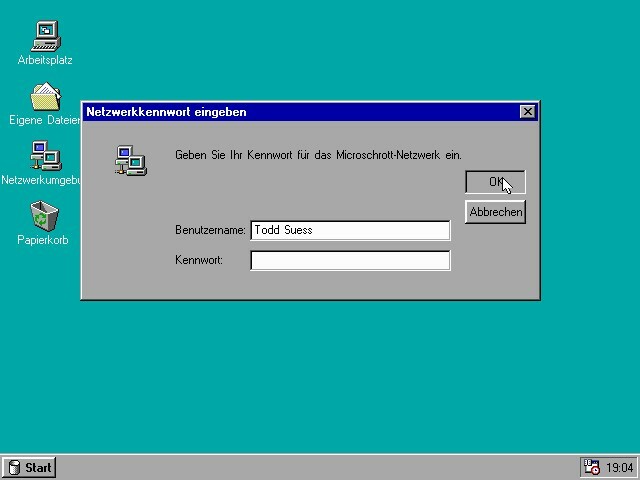 All of this is in German, but you can figure it out easily if you know German or if you've used Windows 95. Almost all of the windows can be dragged or closed.